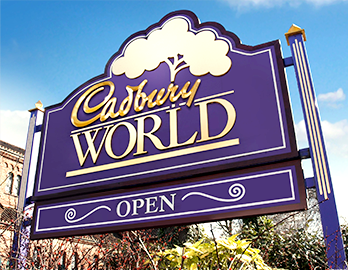 George Cadbury had already created some houses for key workers when the Bournville factory was built. Then, in 1893, he bought another 120 acres near the works and started to build houses in line with the ideals of the embryonic Garden City movement. George's wife, Dame Elizabeth Cadbury, planned Bournville Village alongside her husband, and her memoirs tell us how these plans became reality. 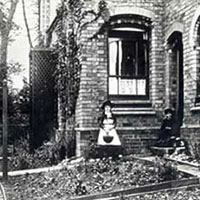 'When I first came to Birmingham and we were living at Woodbrooke, morning after morning I would walk across the fields and farmland between our home and the Works planning how a village could be developed, where the roads should run and the type of cottages and buildings.’ Gradually, she realised this dream. Many of the first tenants were men in Mr Cadbury's Adult School Class, who had previously lived in the centre of Birmingham without gardens. Now they enjoyed healthy surroundings and cultivated their gardens, many with their own apple trees. George Cadbury decided not to go for tunnel-backs because it limited the amount of light in the houses. Instead he chose rectangular cottages, each one with a large garden. In 1895, 143 cottages were built on the land he had bought privately, a total of 140 acres. 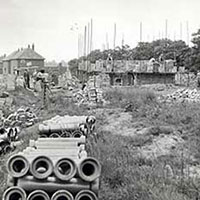 When building started at Bournville, the basic house type built in the Midlands was the 'tunnel-back'. It was cheap, large-scale housing complying with the Public Health Acts that had condemned 'back-to-back' housing. 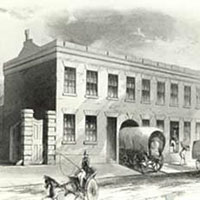 They were built in long rows with entrances to the back through common passages, built over on upper floors. Though they were an improvement on the previous houses, they didn’t look that attractive - lots of tunnel-backs meant endless rows of dreary monotonous housing. George Cadbury decided not to go for tunnel-backs because it limited the amount of light in the houses. Instead he chose rectangular cottages, each one with a large garden. In 1895, 143 cottages were built on the land he had bought privately, a total of 140 acres. The first houses were built in straight rows with no more than four houses in a terrace, but this soon gave way to more interesting layouts. Bournville was developed to be a 'garden village' and these were the guiding principles... Cottages grouped in pairs, threes or sometimes fours. Groups were set back from tree-lined roads, each house with its own front garden and vegetable garden with fruit trees at the back. All cottages were well built with light airy rooms and good sanitation. A typical cottage had a parlour, living room and kitchen downstairs and three bedrooms upstairs. Some early houses didn’t have bathrooms, but it was easy to add them later on. Houses should cost at least £150 to build: they were to house 'honest, sober, thrifty workmen, rather than the destitute or very poor'. Building was restricted on each plot to prevent gardens being overshadowed and keep the rural feel. The first houses were sold on leases of 999 years to keep the rural appearance of the district: mortgages were available for would-be purchasers. 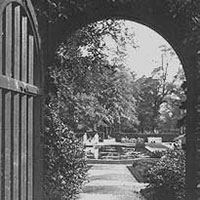 Bournville’s green environment reflected the aim of George Cadbury that one-tenth of the Estate should be 'laid out and used as parks, recreation grounds and open space.’ It attracted great interest from housing reformers, including the Garden City Association. In fact George Cadbury was instrumental in developing the Garden City Movement along with other reformers, including Sir Ebenezer Howard, who founded the Association in 1900 and was the father of modern town planning. 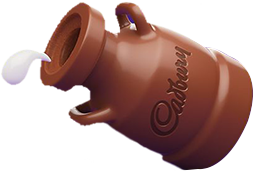 He once said that Bournville gave him the drive to carry out his ideas. The first Garden City, Letchworth, was begun in 1902. Bournville became included within the boundary of the city of Birmingham in 1911, so it’s now a 'garden suburb', like Hampstead Garden Suburb in London. Come to our home, see our amazing history and make your own chocolate.